Sussex Democrats mock disability and prayer. Look at what the Sussex County Democrats put on their Facebook page. Not only do they attack Republican congressional candidate Steve Lonegan for suggesting that prayer in public school might help change our culture to one that respects life, but their supporters actually mock him for being blind. Are these people nasty or what? 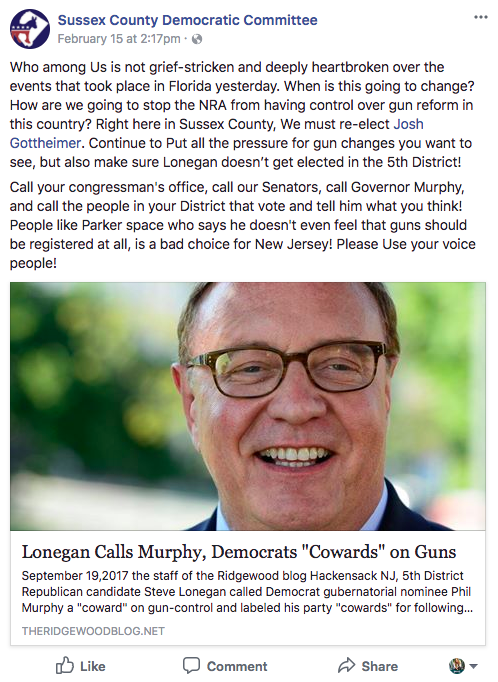 Lonegan: GOPers who push "moderation" while cutting deals with Dems are an existential threat to our party.